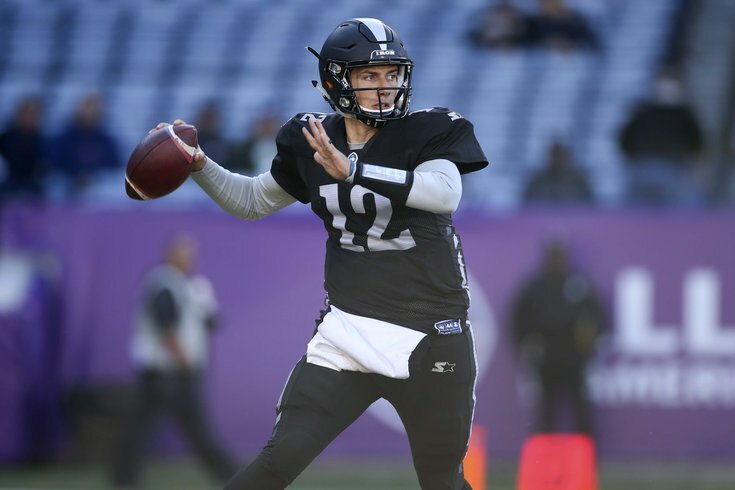 According to Adam Caplan of Sirius XM radio, the Philadelphia Eagles will be signing former Alliance of American Football quarterback Luis Perez, who played for the Birmingham Iron. We've covered Perez here already, so some of what you read below is new, some isn't. Former Birmingham Iron QB Luis Perez tells me that he’s agreed to a 1-year deal with the #Eagles. He spent some time on the #Rams practice squad last season. To be determined if the Eagles view Perez as a legitimate No. 3 quarterback worth developing, or if they see him as a camp arm. Plucking a quarterback from the AAF instead of using a draft pick on one makes sense, but I'm not certain it closes the door completely on the team drafting one in the later rounds later this month. From Perez's perspective, it absolutely makes sense to join the Eagles for a chance to make the team, seeing as the Eagles have had obvious success developing Wentz, Nick Foles, and Nate Sudfeld.